"Mistakes only prove you're trying." "That could have gone better." "Let's get back out there." "I never think about losing." "With your power level, I suggest you forfeit instead." "In the name of Demacia, I will punish you!" "Double rainbow? What does it mean?..." "Well, a "double rainbow" is a phenomenon of optics that displays a spectrum of light due to the sun shining on droplets of moisture in the atmosphere. Does that explain it?" "Light mage? I'm just an ordinary mage." 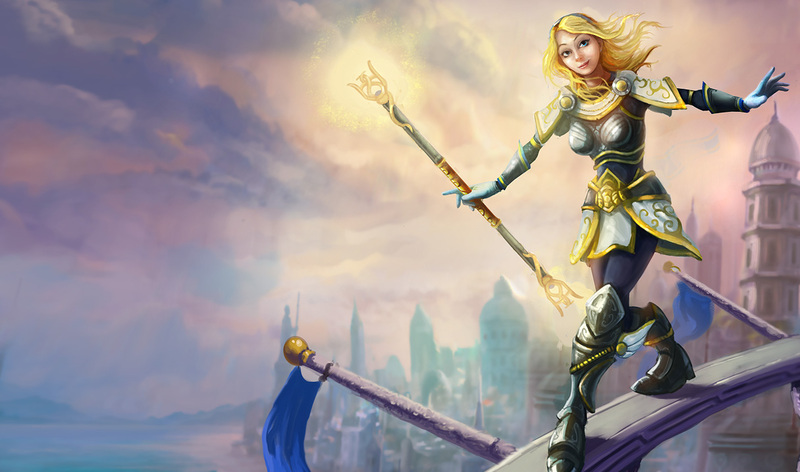 Luxanna Crownguard hails from Demacia, an insular realm where magical abilities are viewed with fear and suspicion. Able to bend light to her will, she grew up dreading discovery and exile, and was forced to keep her power secret, in order to preserve her family's noble status. Nonetheless, Lux's optimism and resilience have led her to embrace her unique talents, and she now covertly wields them in service of her homeland. Last-modified: 2019-04-23 (火) 12:00:19 <461907903> | HTML convert time: 0.007 ( 0.018 ) sec.